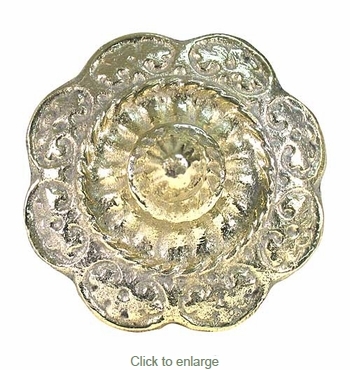 This set of 2 polished bronze flower rosettes make great decorative accents on doors, walls and furniture. Our Mexican bronze hardware is hand crafted in Mexico. Includes 2 rosettes and 2 bronze-headed nails.